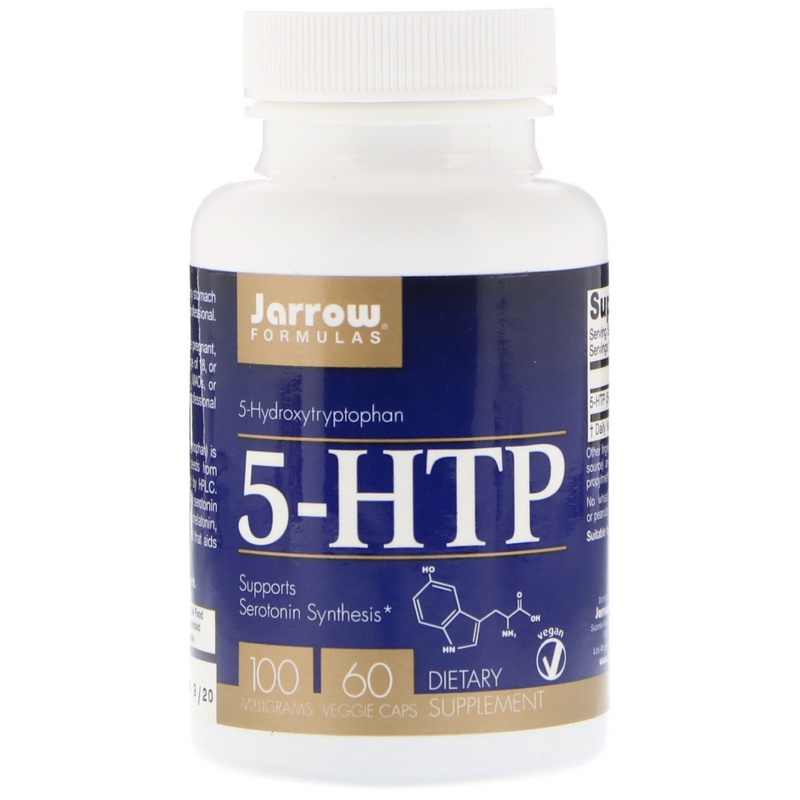 Jarrow Formulas 5-HTP (5-Hydroxytryptophan) is an extract of Griffonia simplicifolia seeds from coastal West Africa. Purity is assured by HPLC. 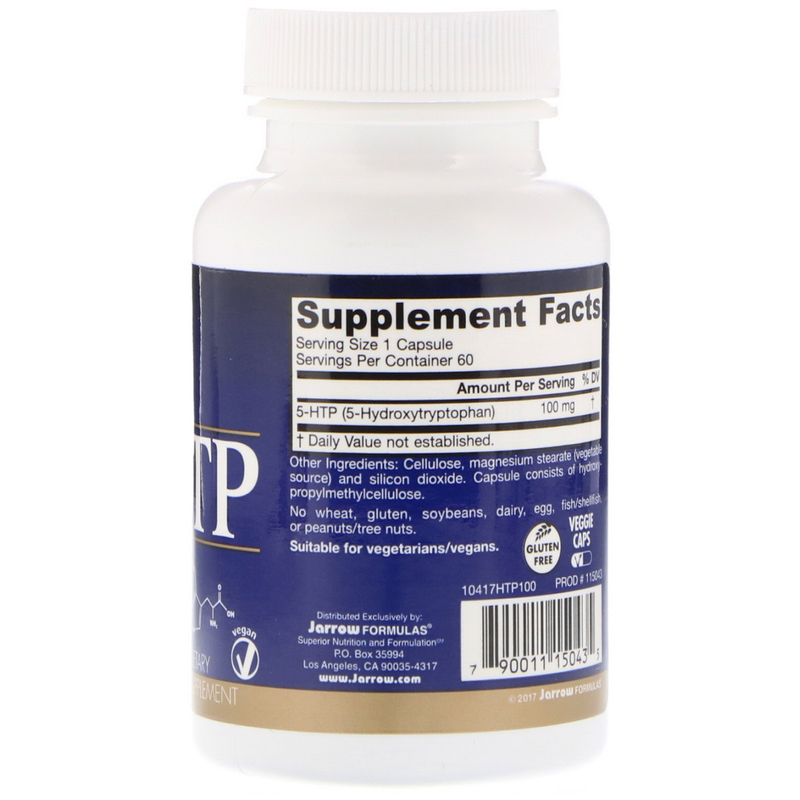 5-HTP is the direct metabolic precursor of serotonin and is important for the production of melatonin, a hormone secreted by the pineal gland that aids biorhythm regulation. Take 1 capsule per day on an empty stomach or as directed by your qualified healthcare professional. Note: If you have a medical condition, are pregnant, lactating, trying to conceive, under the age of 18, or taking medications (especially SSRIs, MAOs, or sedatives), consult your healthcare professional before using this product.